We live in exciting times. As musicians who use technology to expand our creativity, every week brings a new stream of gadgets and software to activate our imaginations. Often I’ve thought, “Once I get thatpiece of gear in my collection, then I will be able to make my big hit!” Although, occasionally, new gear has accelerated my work, usually I’m left realizing its addition wasn’t as magical as I had hoped. Maybe you’ve also been left with crippling buyer’s remorse when a new piece of gear has left you Grammy-less. Perhaps we can also see it as empowering. The truth is, you have everything you need. An already obsolete iPhone has more music production tools than the Beatles had for Sgt. Pepper’s. We are simultaneously blessed and cursed by the ubiquity of powerful tools. We have access to power we could only dream of 20 years ago, yet we fool ourselves to believe that we need the latest and greatest to create. 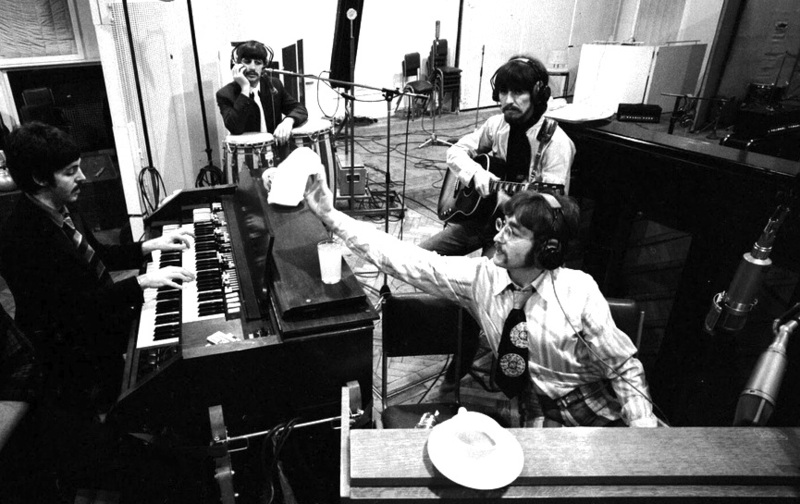 Just four dudes with a 4-track, making some of the most important music in history. While teaching Berklee Online’s Ableton Live Techniques: Sampling course, students often ask me about my field recording rig. 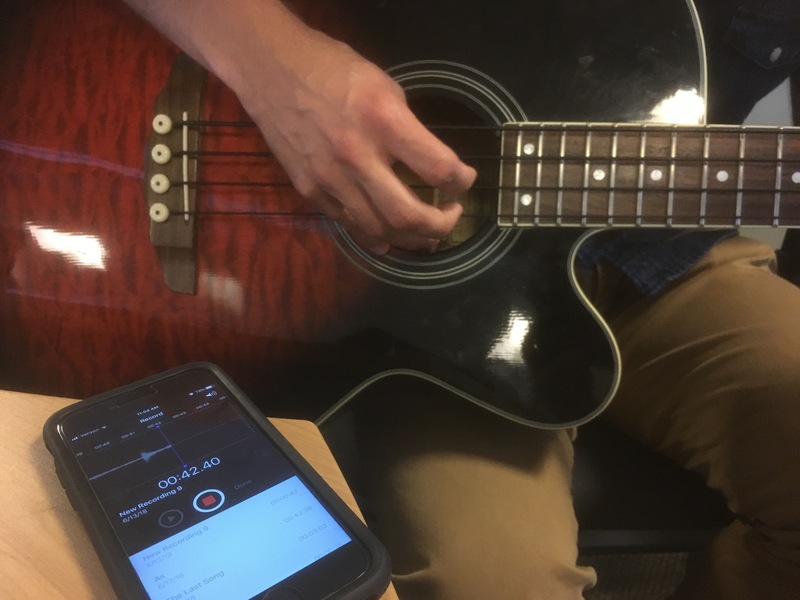 Expecting an elaborate collection of mics and boom stands plus a huge backpack of mysterious gear, they are often surprised when I tell them a small $150 digital recorder, or more often so, my iPhone. Clearly there are more sophisticated options, but I believe the best piece of gear to use is the gear you have with you. I’d much rather use an iPhone to record an interesting sound I happen upon than not record the sound at all. And in truth, sometimes more gear overcomplicates things. Besides, once I place my iPhone recordings in Ableton Live, I often find that the low fidelity adds character to the sound. Here’s a case in point: While my wife and I were on our honeymoon, we were visiting the fjords of Norway. While taking pictures, it occurred to me that the sound of the waterfalls might be a cool substitute for white noise. Not surprisingly, a professional field recording setup was not in any of my luggage. But my phone was in my pocket. I recorded the waterfalls, and eventually I made them into a collection of waterfall instruments you can download and use in your own Ableton Live projects. Had I been uptight about my gear, I (and many other people) would not have these unique instruments to make music with. Are you not recording vocals because you don’t have a Neumann microphone? Did you not release your latest track because you don’t own the fanciest mastering plug-in? Follow this way of thinking and you’ll never make anything. The truth is, creativity is born out of limitations. We come up with interesting and personal solutions when we have problems to solve. When I was young, I owned a Tascam 4-track cassette recorder, a guitar, and a microphone. 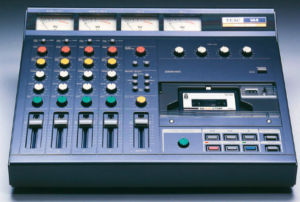 This is a Tascam 4-Track. It was good enough for Bruce Springsteen, and it was good enough for Brian Funk. In an hour I’d record a whole song because there were no decisions to make. If I wanted some ambience in my recordings, I’d figure a novel way to create reverb. I learned my gear and found ways to push it to the max. Today, I spend an hour searching my library of 9,000 kick drum samples. In the old days, when I was lucky enough to have access to a drum kit, I put up my one mic and recorded it. I got a lot done because I worked with what I had. Would you rather starve to death waiting for a five-star meal or eat whatever you have around the house and survive? If human beings start choosing the former, then our days here are numbered. Don’t starve your potential waiting for conditions to be perfect. Record with your smartphone. Accept the background noise as character. Use limitations as an opportunity to be creative. You already have everything you need to make great music. Don’t let the myth of new gear have you believe otherwise.